Find out more baout ASSAR's 1.5℃ work here. Local warming in semi-arid regions will be greater than global average warming. Global temperature could exceed the 1.5℃ threshold as early as the 2020s. Mean annual temperatures in semi-arid regions are expected to increase more than the global average (and progressively so with each interval of global increase). This means that already-hot semi-arid regions will be exposed to additional burdens of heat stress. As a priority, affected countries need to press for global commitments to limit global warming to 1.5ºC, while planning pre-emptively for the threats associated with increasing temperatures. Global warming brings longer heat waves and hotter days to semi-arid regions. Across all of the semi-arid regions ASSAR focused on, rising mean temperatures will result in much longer heat waves, many more extremely-hot days and nights, and fewer cool days and nights. This means that semi-arid regions will face increasing heat stress, which will threaten people’s livelihoods and wellbeing. Semi-arid regions are thus locations of heightened sensitivity where action will need to be taken soon to improve the adaptive capacity of vulnerable populations. Semi-arid regions are expected to experience significant changes to annual rainfall, as well as more intense rainfall events. Global temperature increases of 1.5℃ and above will have significant effects on rainfall, reducing annual rainfall in the semi-arid zones of some countries (Botswana, Mali, Namibia), and increasing annual rainfall in others (Ghana, India, Ethiopia, Kenya). Equally important will be changes in the number of dry and wet days, with fewer days with rainfall, and more intense rainfall on days when rain does fall. 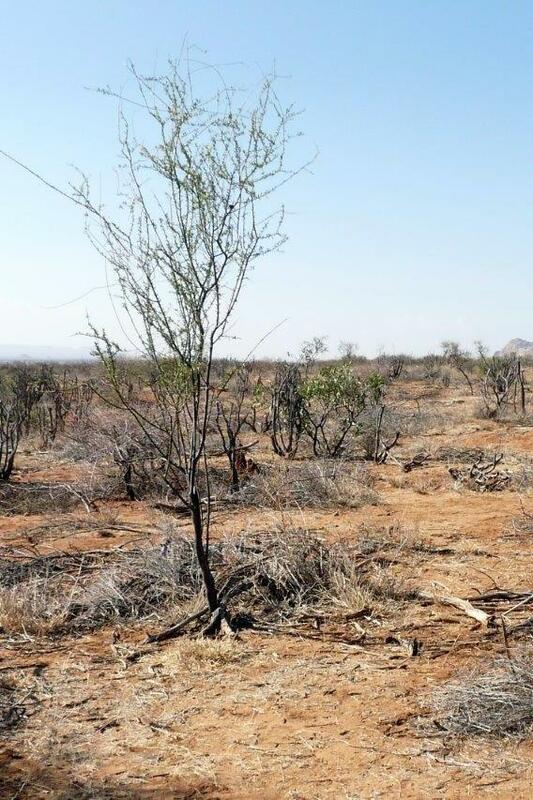 For many semi-arid zones, drought will continue to be a persistent and increasing risk to the communities depending on rainfall for their livelihoods. At the same time, the intensification of rainfall events in all zones will increase the frequency and severity of floods that cause extensive damage to crops, livestock and infrastructure, and threaten human lives. Water scarcity and water stress in semi-arid regions will increase progressively at each interval of global warming. Global warming of 1.5℃ and above will have significant impacts on water resources in semi-arid regions. In most regions, inland deltas, rivers, dams and groundwater resources are expected to be adversely impacted by rising temperatures and changing rainfall patterns. These changes are likely to result in water scarcity and water stress that will get progressively worse at each level of global warming, exacerbating the vulnerabilities of semi-arid communities. Increasing global temperatures threaten livelihoods, health and wellbeing of semi-arid communities. The local impacts of global warming of 1.5℃ and above will have profound impacts on the dominant livelihood activities in semi-arid regions, such as rain-fed agriculture and pastoralism. Agricultural and livestock productivity is expected to decline due to the direct and indirect effects of local climate change, and health and disease burdens of semi-arid communities are expected to increase. High sensitivities and low adaptive capacities make semi-arid regions hotspots for climate change. While semi-arid regions are particularly vulnerable to the effects of global temperature increases of 1.5℃ and above, they are not necessarily expected to receive more drastic changes than some of the other climatic regions in Africa and Asia. However, since semi-arid regions are more marginal for livelihood activities, the effects of climate change may have a relatively larger impact on these communities. ASSAR. 2015. ASSAR’s animated climate messages for Africa and Asia. --> --> --> -->. Adaptation at Scale in Semi-Arid Regions (ASSAR). Link. ASSAR. 2015. ASSAR’s animated climate messages for East Africa. --> --> --> -->. Adaptation at Scale in Semi-Arid Regions (ASSAR). Link. ASSAR. 2015. ASSAR’s animated climate messages for India. --> --> --> -->. Adaptation at Scale in Semi-Arid Regions (ASSAR). Link. ASSAR. 2015. ASSAR’s animated climate messages for southern Africa. --> --> --> -->. Adaptation at Scale in Semi-Arid Regions (ASSAR). Link. ASSAR. 2015. ASSAR’s animated climate messages for West Africa. --> --> --> -->. Adaptation at Scale in Semi-Arid Regions (ASSAR). Link. ASSAR. 2019. What global warming of 1.5°C and higher means for Botswana. [Infographic]. Adaptation at Scale in Semi-Arid Regions (ASSAR). ASSAR. 2019. What global warming of 1.5°C and higher means for Ethiopia. [Infographic]. Adaptation at Scale in Semi-Arid Regions (ASSAR). ASSAR. 2019. What global warming of 1.5°C and higher means for Ghana. [Infographic]. Adaptation at Scale in Semi-Arid Regions (ASSAR). ASSAR. 2019. What global warming of 1.5°C and higher means for Kenya. [Infographic]. Adaptation at Scale in Semi-Arid Regions (ASSAR). ASSAR. 2019. What global warming of 1.5°C and higher means for Mali. [Infographic]. Adaptation at Scale in Semi-Arid Regions (ASSAR). ASSAR. 2019. What global warming of 1.5°C and higher means for Namibia. [Infographic]. Adaptation at Scale in Semi-Arid Regions (ASSAR).